A variety of communication hardware systems, platforms and software, work together to allow us all to communicate with each other. They help the industrial and business world, to work quickly and efficiently, on a global scale. 1. 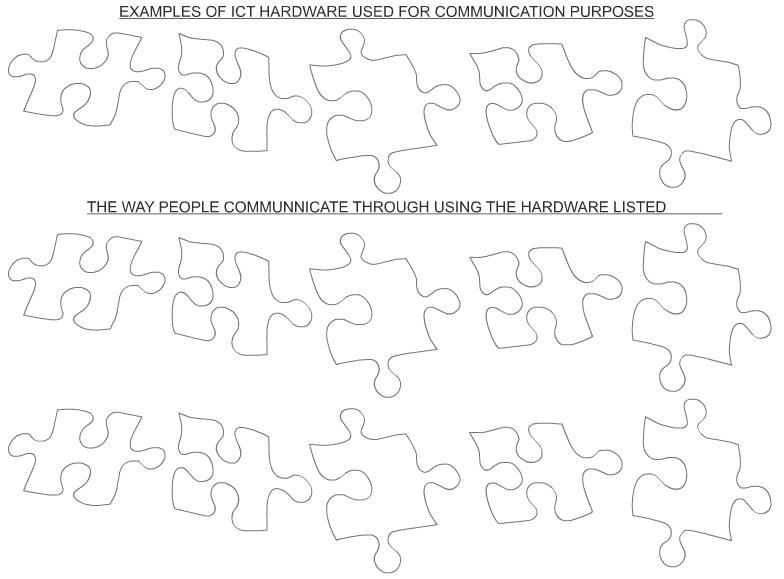 Using the jigsaw pieces, write the names of hardware (electronic devices) people use for communication purposes. 2. 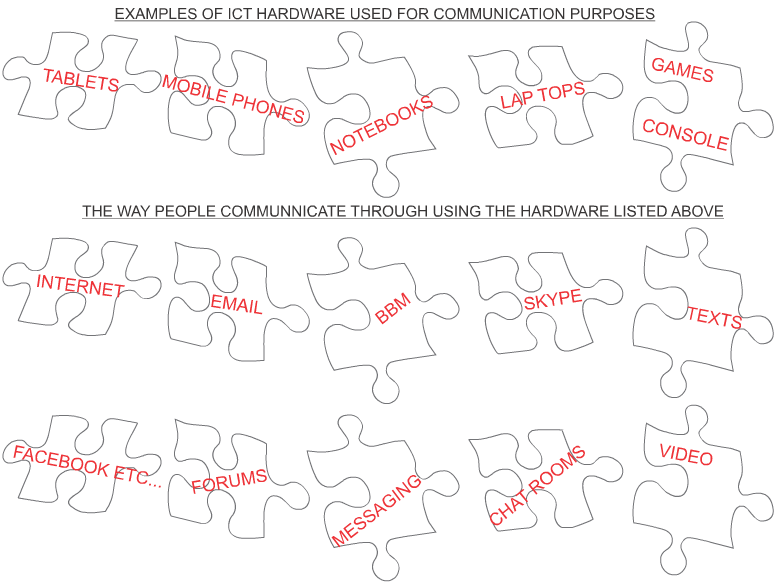 Using the jigsaw pieces, list ways people communicate, by using the hardware you named above, in question one.